In a new promotion revealed this morning, 7-Eleven is teaming up with Microsoft to give away one of 58 Xbox One systems through early 2014. If you don;t already, start drinking Slurpees (especially the Mountain Dew Game Fuel flavor) to earn codes which can be redeemed at the official site: www.slurpee.com, to enter for a chance to win. They will also be giving away a number of other prizes each day, including XBLA games, gift cards and more. While temperatures are dropping, the traffic on www.slurpee.com is heating up as Slurpee fans enter to win the much-anticipated Xbox One Entertainment System. 7-Eleven, Inc. will give away 58 of the all-in-one entertainment systems – one each day through Jan. 2, 2014. Xbox One will be available for purchase at retailers on Nov. 22. Appropriately, the featured Slurpee flavor during the contest period is Mountain Dew Game Fuel Citrus Cherry. Customers who purchase a Mountain Dew Game Fuel Slurpee drink, or any other Slurpee flavor, can enter their cup code to earn Slurpee Rewards points at www.slurpee.com. Points can be redeemed to enter the contest, up to five times each day. Each entry requires two Slurpee Rewards points. In addition to the 58 Xbox One entertainment systems, more than 150 Instant Win prizes will be awarded each day. Prizes include Xbox 360 arcade games, one-month and 12-month Xbox Live Gold memberships, Xbox Digital Promotional gift cards and $200 Visa gift cards. Xbox One winners will be drawn at midnight each night CST from Nov. 6 to Jan. 2. Instant Win prizes will be awarded throughout the day. Only codes entered after Nov. 1 can be used toward the Xbox One sweeps and the Instant Win prizes, but existing Slurpee Rewards points can be used to redeem new Xbox rewards in the catalog. To give customers even more ways to win, codes from specially marked “Every Two Minutes” Mountain Dew and Doritos products also can be redeemed at http://7-elevenreward.com to enter the Xbox Sweepstakes and Instant Win game. 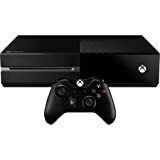 The Xbox One All-in-One Entertainment System includes an Xbox One, Kinect sensor, Xbox One controller, HDMI Cable and Xbox One Chat Headset. Xbox One enables users to have all their entertainment options in one place: games, movies, television shows, sports and music. For those who are not a Slurpee Rewards member, signing up is free at www.slurpee.com. Members can then log codes from their Slurpee cups, which earn from one to four points based on the Slurpee cup size. Additional information about 7-Eleven’s Daily Xbox One Giveaway is available at www.slurpee.com.